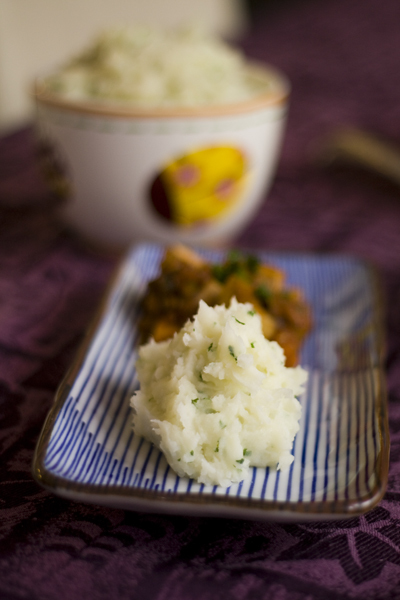 These mashed potatoes pair nicely with tofu cacciatore, which we’ll feature on the blog next week! They also go great with our chickpea and eggplant curry. 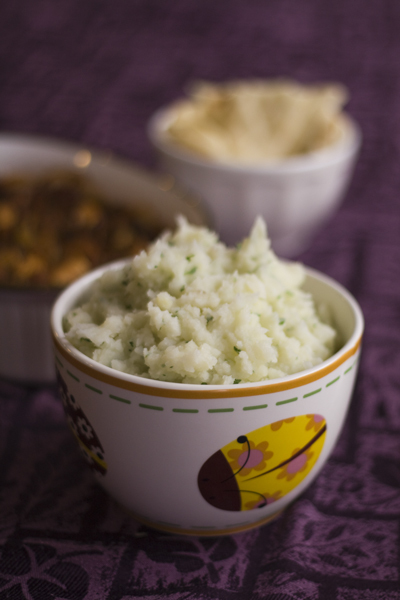 These mashed potatoes are also fantastic straight from the bowl with a big spoon. 1. Saute the garlic in olive oil over medium heat. 2. Cook the potatoes in salted, boiling water until tender. Do not drain completely; leave some salted water at the bottom of the bowl. Add the margarine and garlic, then mash until smooth. 3. Add parsley and mix well.